When will be The Last Policeman next episode air date? Is The Last Policeman renewed or cancelled? Where to countdown The Last Policeman air dates? Is The Last Policeman worth watching? The Last Policeman is an adaptation of Ben H. Winters' sci-fi mystery novel which follows a detective in New Hampshire during the final years of civilization as a catastrophe-level asteroid hurtles toward the planet. Despite the social, political and economic effects of preparing for impact, he keeps his head down and hope alive by solving cases amidst the ever-increasing chaos. The Last Policeman next episode air date provides TVMaze for you.  EpisoDate.com is your TV show guide to Countdown The Last Policeman Episode Air Dates and to stay in touch with The Last Policeman next episode Air Date and your others favorite TV Shows. Add the shows you like to a "Watchlist" and let the site take it from there.